Every family has secrets that bind them together. 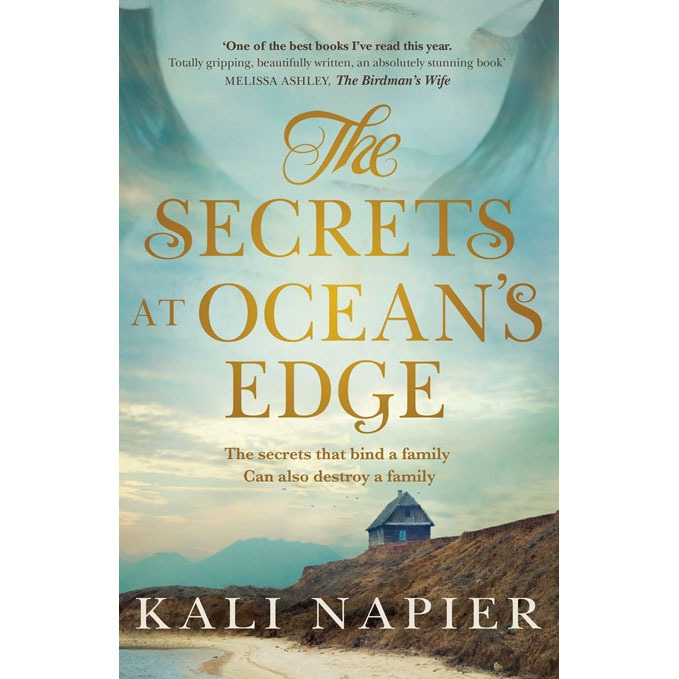 A heart-rending story of a guesthouse keeper and his wife who attempt to start over, from devastatingly talented debut author Kali Napier. 1932. Ernie and Lily Hass, and their daughter, Girlie, have lost almost everything in the Depression; all they have keeping their small family together are their secrets. Abandoning their failing wheat farm and small-town gossip, they make a new start on the west coast of Australia where they begin to build a summer guesthouse. But forming new alliances with the locals isn’t easy. Into the Hasses’ new life wanders Lily’s shell-shocked brother, Tommy, after three harrowing years on the road following his incarceration. Tommy is seeking answers that will cut to the heart of who Ernie, Lily and Girlie really are. Inspired by the author’s own family history, The Secrets at Ocean’s Edge is a haunting, memorable and moving tale of one family’s search for belonging. Kali Napier breathes a fever-pitch intensity into the story of these emotionally fragile characters as their secrets are revealed with tragic consequences. If you loved The Light Between Oceans and The Woolgrower’s Companion you will love this story.